The Punch & Judy Fellowship currently works in partnership with the Punch & Judy College of Professors and is affiliated to Puppeteers UK. 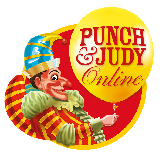 The PJF is also a partner in Punch and Judy Online where you will find much information about Punch's history and his tradition. You can visit their websites by clicking on their respective logos. 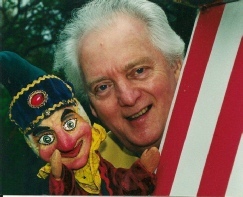 The Oldest Punch and Judy organisation in the world! Dedicated to cherishing Mr. Punch’s yesterdays, promoting his todays and nurturing his tomorrows. Open to performers and enthusiasts alike. Why not join the 'Professors', puppet makers, collectors, historians and Punch fans who are already members? 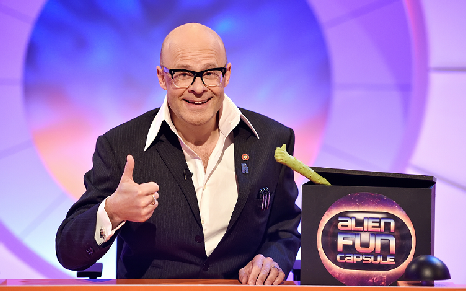 The Punch & Judy Fellowship takes pleasure in announcing that award winning comedian Harry Hill has accepted an invitation to become its new patron. Says Harry "I am happy to accept...in fact I'm honoured!" Says President John Styles: "Harry's anarchic and irreverent approach to comedy makes him an ideal Patron of our Fellowship and we are truly delighted that he has accepted the invitation we extended. Says Mr. Punch: "That's the way to do it!"